Developed to penetrate deep into wood surfaces, our decking oil provides long lasting protection against moisture damage. 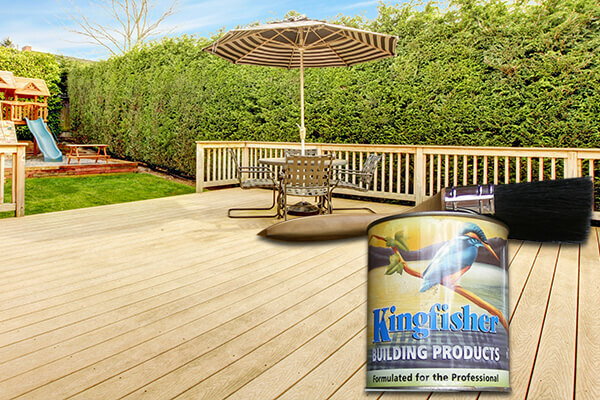 Offering superior UV resistance, the Kingfisher decking oil can also enhance the natural beauty of the wood itself. There are many benefits to using our premium decking oil. Due to the outstanding quality we supply, it resits fading flaking and peeling while repelling water. This can help your decking to avoid any splitting or cracking. In a household, decking can be very popular with a lot of traffic. This being the case, it is important to maintain your decking with the highest quality decking oil. That’s where we come in, providing decking oil that offers a superior finish. This Decking Oil is also extremely versatile - being suitable for use on soft or hard woods, or pressure treated timbers. Meaning it can event be used to finish summerhouses, sheds and fences. 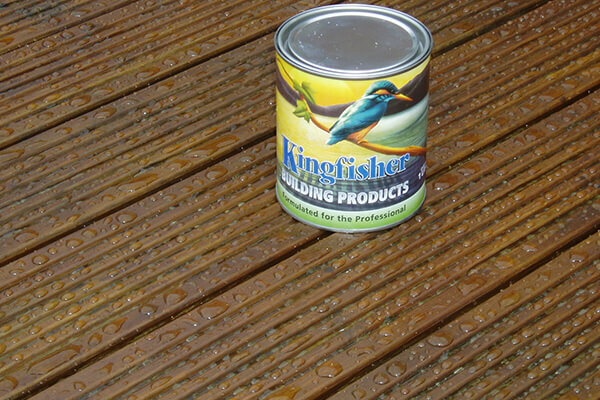 I have used various Kingfisher products in the past including this Decking Oil. I have to say yet another great product, easy to use and a great finish. Don't buy from DIY stores it's cheaper here and it's a better product. Just about to make another order. Thank you. Hi M Saville, Thank you! We're so pleased to hear your kind feedback, I'll be sure to pass your comments on to the team. We recently purchased this decking oil and have to say it is the best product we have come across. Over the past 4 years we have used a variety of well known Brand decking products sold in all DIY stores, all of which promised good long lasting results, nothing could be further from the truth. However, the Kingfisher Decking Oil was brilliant. The delivery was excellent and was delivered within 48 hours of ordering. Once we had pressure washed the decking we applied the decking oil by using an everyday household soft broom, which applying two coats, took us about 4 hours in total and followed the instructions to the letter and have to say the decking having dried after 48 hours looks fantastic and like new, the natural wood shows through and is the best we have seen it. This is truly an oil which penetrates the wood. Brilliant. Thank you Kingfisher for a remarkable product. Yes, you guessed it we will be buying this product in future years.